Somatic Symptom and Related Disorders (SSRDs) have both psychological and physical symptoms. 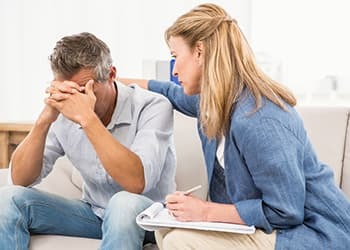 When a person is coping with this diagnosis at the same time that they are struggling with a substance abuse problem, professional intervention is necessary. Somatic symptom and related disorders (SSRDs) is a term for a group of conditions that involve both physical and psychological symptoms.1 Somatic (body-based) problems can cause significant mental and emotional distress. Likewise, psychological distress can sometimes lead to somatic symptoms. In the past there has been a great deal of misunderstanding about the relationship between these conditions due in large part to the division of physical medicine and psychological care in some medical settings. The best programs will take a comprehensive, holistic approach to diagnosis and treatment of co-occurring disorders. An official somatic/substance abuse dual diagnosis requires that co-occurring psychiatric and medical complaints are accompanied by substance abuse. Because SSRDs/substance abuse dual diagnosis has been largely under-diagnosed and under-treated, not every care provider or treatment program is equipped to successfully treat them.3, 4 These disorders require a specialized treatment focus that integrates both the physical and psychological components of each diagnosis individually. Who Answers? can help you clarify your own needs and identify appropriate treatment programs. Somatic Symptom Disorder: Excessive thoughts, feelings, or behaviors in relation to a somatic symptom. Health concerns are a prominent characteristic in one’s life and cause significant distress or impairment in daily functioning. Conversion Disorder: Motor or sensory symptoms such as weakness, paralysis, sensory loss, tremor, seizures or numbness occur without evidence of a neurological or other medical cause, and these symptoms cause significant distress or impairment to the person. Illness Anxiety Disorder: One is excessively preoccupied with the possibility of becoming ill. There may be mild somatic symptoms or no symptoms at all, but the person experiences intense anxiety about personal health. Psychological Factors Affecting a Medical Condition: Psychological or behavioral factors develop that increase a preexisting medical condition’s severity or interfere with its treatment. Factitious Disorder: One deceptively presents self or another as ill, impaired or injured. Unresolved SSRDs can also cause other problems to develop, compounding difficulties. A significant risk for those who suffer with these conditions is the use of self-medication attempts to decrease their distress.5, 6, 7 As issues persist, it is not uncommon for self-medication to result in problematic substance use. This can result in a dual diagnosis. Dual diagnosis treatment can help resolve both the somatic disorder and the simultaneous substance problem. There are treatment centers that specialize in the treatment of SSRDs and co-occurring substance abuse. They have trained providers that can address all of the particular issues that come with this dual diagnosis. Dual diagnosis treatment addresses the somatic disorder and the substance problem at the same time and in an integrated fashion. Simultaneous treatment is the best way to address co-occurring disorders,8, 9 starting with withdrawal and detoxification from substances. Medical supervision and monitoring is recommended for safe withdrawal and the management of physical or psychiatric symptoms. Care should be taken with any prescribed medications to avoid the risk of medication abuse or addiction. An inpatient program that offers 24-hour is often the best choice for a dual diagnosis individual. Who Answers? for a private and confidential consultation to help clarify issues, needs and appropriate treatment options. The credentials and training of care providers – Do they have expertise in treating Somatic Disorders and co-occurring substance issues? Any reputable rehab center will be glad to discuss their staff’s qualifications with you. Withdrawal and detoxification protocols – Are these medically supervised? Is there 24-hour monitoring and support? Therapies – What psychological services are provided? Individual, group, and family sessions? Do the therapies help you prevent relapse in both the Somatic Disorder and the substance use problem? The location – Do you prefer to remain close to home or are you willing to travel? The setting – For example, are you comfortable in a mixed gender group or prefer a gender-specific one? Cost – Since costs of treatment centers can vary greatly, you will need information from each about costs. Financing – How will you finance your treatment? If you are insured, you will have to check with your insurance company to clarify allowed coverage. You will also have to check with each center you consider because not all of them accept insurance. Arrangements for payment can also be made by each treatment center. You will have to inquire which options are available at each center you consider. Seeking appropriate help for co-occurring SSRDs and substance problems can be an overwhelming task, but help is out there! Many treatment centers have specially trained providers that address all of these issues simultaneously and effectively. Who Answers? for a private and confidential consultation to help identify your specific needs and to explore appropriate treatment options.
. Dimsdale, J. (2013, November). Somatic Symptom Disorder. Retrieved from Merck Manual.
. American Psychiatric Association. (2013). Diagnostic and statistical manual of mental disorders: DSM-5. Washington, D.C: American Psychiatric Association.
. Hartz, A., Noyes, R., & Bentler, S. (2000). Unexplained symptoms in primary care: perspectives of doctors and patients. General Hospital Psychiatry, 22. 144-152.
. McCarron, R. (2006, May 1). Somatization in the Primary Care Setting. Retrieved from Psychiatric Times.
. Tien, A., Schlaepfe, T., & Fisch, H. (1998). Self-reported somatization symptoms associated with risk for extreme alcohol use. Archives of Family Medicine, 7. 33–7.
. Savage, S. (2013). What to do when pain and addiction coexist. Chronic Pain Perspectives, 62(6), 510-516.
. Yates, W. (2014). Somatic Symptom Disorders. Retrieved from Medscape.
. Miller, M. (2012). Dual Diagnosis: Drug Addiction and Mental Illness (Illicit and Misused Drugs). Broomall, PA: Mason Crest Publishers.
. Wynn, S. (2002). Dual Diagnosis. Retrieved from Journal of Addictive Disorders.